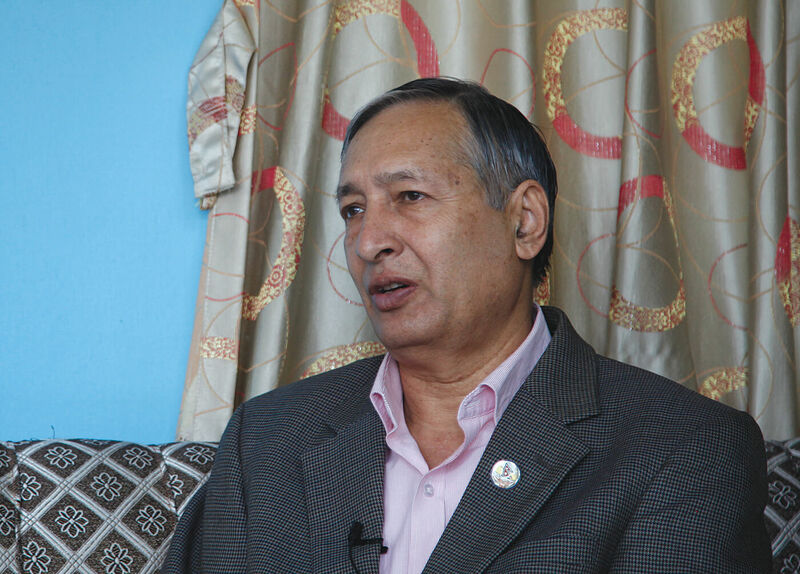 The appointment by the Communist government of respected economist Yuba Raj Khatiwada (pictured above) as Finance Minister earlier this year was seen by many as a masterstroke. People hoped this would create jobs, maintain fiscal discipline and deliver prosperity. Seven months later, the euphoria is rapidly evaporating as the trade imbalance worsens with imports ballooning, foreign exchange reserves shrink, and there are fears of another liquidity crisis. Prices of food, vegetables, fuel and other essentials have soared ahead of the Dasain-Tihar festivals. 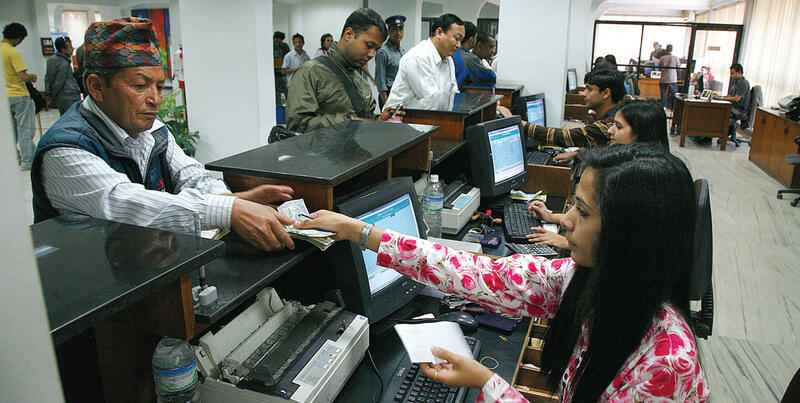 A Nepal Rastra Bank report warns that the economy faces strong headwind despite robust growth in remittances. Last week, the Asian Development Bank forecast that Nepal’s economic growth would be 4.9% this year. The World Bank put it even lower at 4.6%. To be sure, they usually factor in possible natural disasters, institutional limitations and other constraints to project minimum growth. The National Planning Commission’s projection is 7.2%. Khatiwada had introduced austerity measures, but his first budget plan was criticised by the opposition NC and independent economists as being laden with ‘doctored data’. Some MPs of his own party were also critical because it ignored electoral promises of more jobs, social security, big-ticket projects and an economic revolution. In his defence, Khatiwada says the government has spent most of its energy so far in developing organisational, legal and financial structures as well as managing resources. But even he admits it is now time to start delivering results. In an exclusive interview with Nepali Times this week Khatiwada said development will now be expedited because policy constraints are being removed. For example, the existing Public Procurement Act will now disqualify contractors who bid lower than minimum cost and delay completion. A new public company is being set up to rent out construction equipment for government projects. Private companies need not plant 25 trees for every tree felled, they just deposit a tree plantation fee which the government will use for reforestation. The WB Group is returning to hydropower investment with Upper Arun and Upper Trisuli, and the ADB has shown an interest in other projects like Dudhkosi. But Khatiwada says Nepal needs more investment to generate 15,000MW more electricity in 10 years, but Nepal’s banking sector is incapable of lending so much and donors will not pay for energy infrastructure. Excerpts from an interview with Finance Minister Yuba Raj Khatiwada on Tuesday in which he played down rifts with Western donor agencies, or that Nepal did not want assistance for ‘soft’ sectors like human rights and democracy. Nepali Times: It has been seven months since you became Finance Minister, what are your tangible achievements so far? Yuba Raj Khatiwada: If you ask me how many more kilometers of road or railway lines have been laid or how much more electricity has been added to the national grid, we cannot claim to have achieved much. But what we all need to understand is that the process of implementing the Constitution began only after we came to power. We had to spend a lot of time in developing organisational, legal and financial structures of provincial and local governments. However, we have made significant progress in managing resources for mega infrastructure projects like roads, railways, airports and hydropower. We have laid the foundations, and we will now start delivering results. We have been able to convince bilateral and multilateral donors that our government will not waste foreign aid in populist programs for short-term gain. We will use it for long-term benefit. This is why the World Bank has agreed to provide more financial assistance to us, and other bilateral donors are also excited. We are looking for foreign assistance especially in infrastructure like roads, tunnels, railway and hydropower. We are receiving around Rs 300 billion in foreign assistance annually, but we want to increase this amount to Rs 500 billion next year. We will not be able to finance the annual budget just from tax revenue. But Western aid agencies are alarmed that the government is restricting them, and the shrinking democratic space in Nepal. They must be worried about the National Integrity Policy, but that is not a policy that was proposed or considered by our government. We are serious about good governance, and this is not just a responsibility of the government. Donors, INGOs and private sector must also contribute. We will take measures on good governance only after consulting them. They need not worry about it. Are you saying donors and I/NGOs are not transparent and accountable? We have proof that some of them have overstepped their mandates. 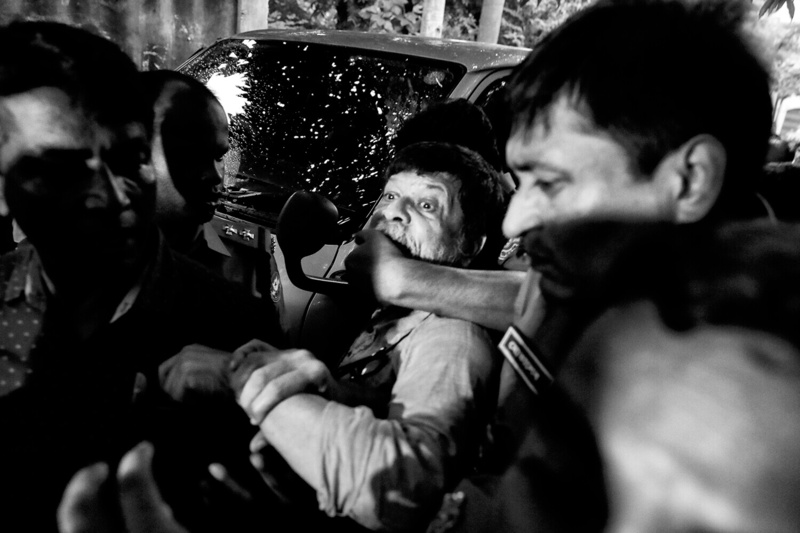 It is the State’s duty to act against those who disrespect Nepal’s sovereignty, integrity and national interest. There is a sense that Nepal is now cosying up to India and China, but it is alienating its long-term Western development partners. I have heard this is the subject of talk over tea in some quarters. But I have found Western donors even more ready to help us. At the World Bank headquarters, I recently met the heads of USAID and the Millennium Challenge Corporation (MCC) who are happy that an elected government is in place and they have promised to increase their financial assistance. Switzerland and Germany are also ready to step up aid. The European Union is also saying this is the right time to increase support to Nepal. We may have opposing views on certain diplomatic issues, but Western donors are more willing than ever to help Nepal. What is your take on the Nijgad airport debate? There was a proposal that Nijgad airport will not be profitable by itself, so whichever company builds it must be given a large swathe of land to develop an aeropolis to make it more attractive. The government has now discarded this proposal. We are now committed to building just an airport causing minimum damage to the local ecology. We need two runways as per the original design, but we are now building just one runway. Adding the second runway will depend on the passenger volume. The Ministry of Finance and the Ministry of Tourism have agreed to involve the private sector in developing the airport. The revenue generated by cutting down trees in Nijgad will not be misused. Why is the government considering the same Chinese company for the 1200 MW Budigandaki hydroelectricity project without calling for an open competition? The same company gets selected for some mega hydropower projects like Budi Gandaki irrespective of how many times an open bidding is called. This is what happened in Upper Karnali and Arun. Only a couple of other companies showed interest, but they were not qualified. That was just a waste of time. Budi Gandaki will be essentially built by us. We will dictate its design or financial management. The Chinese company will just help us get credit and construct the project. The real debate is about how high the Budigandaki dam should be for which we need a technical review. Our plan is to generate 15,000 MW more electricity in 10 years, and we require more than Rs 300 billion for this. We cannot finance these projects on our own, and our banking system does not have the capacity. Donors will not finance such projects, either. So we must seek foreign loans, as in Budi Gandaki. The challenge is to take and invest foreign loan as wisely as possible.